What significant moves were made during the offseason? Well, the offseason has pretty much been a bust for the Toronto Raptors. First off, Chris Bosh decided to “take his talents to South Beach” and join forces with Dwyane Wade and one, Mr. Lebron James. To make matters worse, Bryan Colangelo wasn't able to turn CB4 into a substantial name coming up north. Then, there were a flurry of rumours that were flying around this summer, where Toronto would give up Hedo Turkoglu, Jose Calderon and Reggie Evans for Leandro Barbosa, Boris Diaw and Tyson Chandler. Most fans got excited for this potential new-look Raptors team but that dream trade was quickly crushed when MJ got off the golf course and vetoed the trade. The lone bright spot of the offseason was that Colangelo was able to unload that hefty contract of Hedo Turkoglu for the Brazilian Blur, Leandro Barbosa. In free agent signings, Bryan Colangelo signed Linas Kleiza whose stock rose when he had an impressive performance at this year's FIBA World Championships and was named as one of the FIBA All-Star five. The Raptors had some decent representation in the World Championships with guys like Kleiza, Barbosa, Calderon and heck, even Jay Triano representing in Turkey. As far as this year's draft, the Raptors landed a solid big man in Ed Davis out of North Carolina, who was pretty much an insurance policy due to the possibility of Chris Bosh leaving. 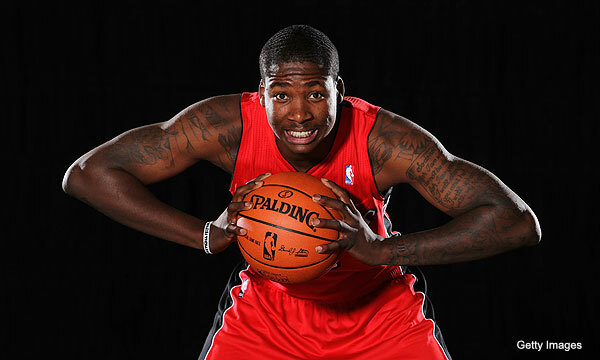 Just look at Ed Davis' face in the picture above. That says it all. There doesn't seem to be a lot of strengths with this team this year, as the roster is just a collection of random role players without a true all-star leader. This season, the Raptors will have to learn how to replace 24.0 ppg and 10.8 rpg that Chris Bosh brought to the table. I guess, Colangelo hopes that Andrea Bargnani and Amir Johnson will fill the void of Bosh. One of the bright spots from the Raptors last season was their offense which ranked top five in the league. Now, they will be lucky to repeat that performance without Bosh but Toronto still has a lot of offensive weapons. It remains to be seen whether Andrea Bargnani will step up in Chris Bosh's absence but also on this roster are a number of athletic wings in DeMar DeRozan, Linas Kleiza and Sonny Weems who will have an opportunity to have breakout seasons. And finally, there's Amir Johnson who Bryan Colangelo believes Amir’s prime has yet to come (hence the huge contract over the summer). The athletes on this team will make for some good highlights, but it remains to be seen whether guys like DeMar, Andrea and Amir will be consistent scorers on a nightly basis. You know it. The defense. Toronto had one of the worst defenses last season and don't expect it to get any better. The Raptors are now a bit thin down low with the likes of Amir Johnson, Andrea Bargnani, David Andersen and the young rook, Ed Davis. It will be a tough test for these guys to face some of the bigs in East like Dwight Howard, Carlos Boozer, Amare Stoudemire and most importantly, Chris Bosh. Toronto's defense will be a bit ugly this season without any defensive stoppers on the roster, and really, no real all-star who can put the team on their shoulders. But who knows, remember the Hubie Brown-coached 03-04 Memphis Grizzlies where they were 12-deep and made the playoffs? That could quite possibly be this year's Toronto Raptors. Here's hoping. Now, the goal for the past few seasons was to not only make the playoffs BUT also make it past the second round. So what are the goals now? It looks like it's back to the drawing board, the Raptors will have to invest this time to develop their young talents that will be the future face of this franchise. 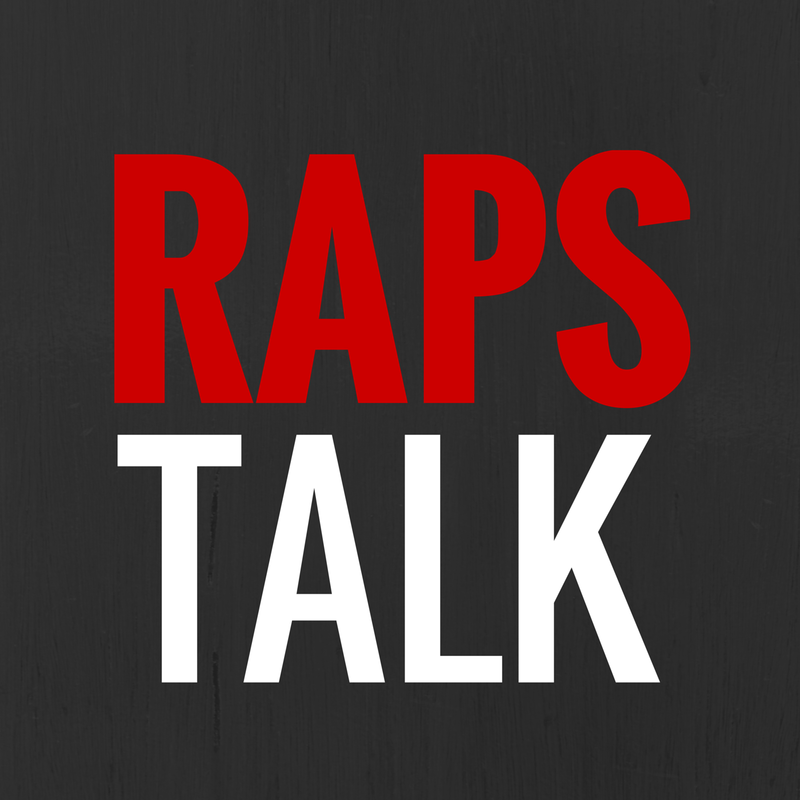 The Raps have DeMar DeRozan, Amir Johnson, Ed Davis and Sonny Weems aka "The Young Gunz" who have an abundance of potential but have yet to show any real talent as the Raps move into the "Bosh-less" era. It will be also be important to develop some type of chemistry with a roster has been flipped over ten too many times. Who is going to fill the void for Chris Bosh? Is it Andrea Bargnani? Is it Amir Johnson? I think everyone is expecting Andrea Bargnani to fill the void of Chris Bosh, but honestly, even though he had a bit of breakout season last season, it may get worse for Bargnani. The double teams on Bosh that led to wide open looks for Andrea will be non-existent which may force him to hide under his shell as opposed to attacking the basket. And Amir? I'm not sold. He's a role player who's been given a shot to prove himself. It's kind of scary that the Young Gunz (Amir, Sonny and DeMar) will be the face of the franchise this year. Could be the Thunder North!